Should be oiled with food grade oil before use and periodically to preserve and maintain luster"
The Bamboo 12" x 20" Pizza Peel with Ergonomic Handle is a generously sized, flat paddle for deftly sliding pizza in and out of hot ovens. The tapered front edge of the wooden pizza paddle slips smoothly under pizza to "peel" it from the oven or baking stone. Its ergonomically shaped handle makes it easy to comfortably hold the paddle. 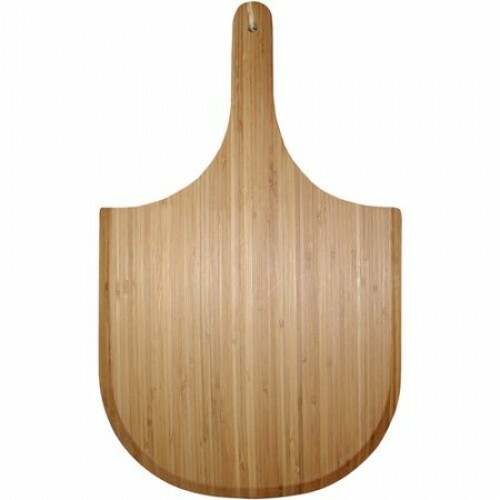 Its large surface allows you to make a variety of pizza sizes on the Bamboo 12" x 20" Pizza Paddle Peel. 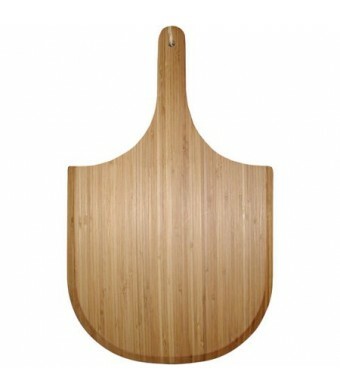 The wooden pizza peel with an ergonomic handle should be oiled with food grade oil to preserve and maintain its luster. This wooden pizza paddle can help make cooking pizza fun for the whole family.